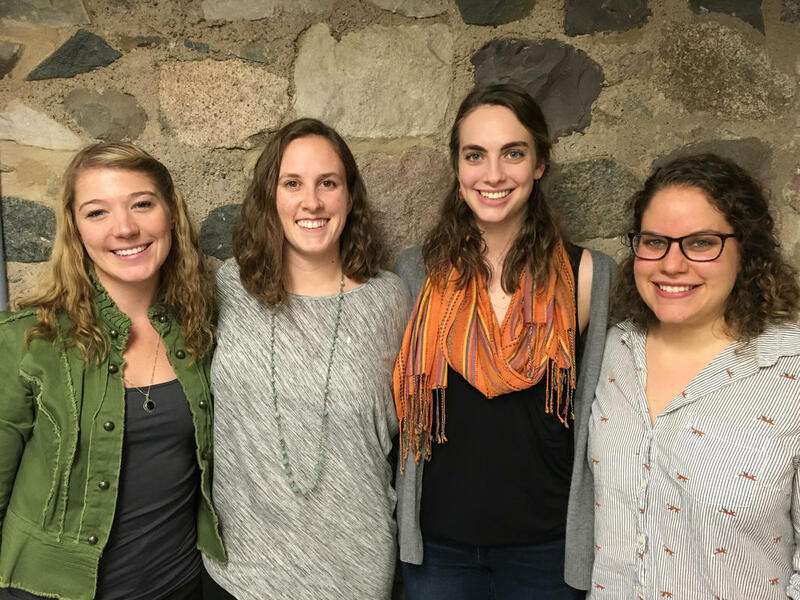 Claire, Jackie, Kelly, and Beth are PhD students in the Department of Fisheries and Wildlife at Michigan State University. They all conduct research on the intersection of human and natural resources, with a particular focus on sustainable use and wildlife conservation. Their field sites range from Africa to the Arctic, and they have developed an appreciation for the value of international collaboration through these research experiences. They founded the Michigan State University chapter of WiNN to help provide resources and networking opportunities for students and young professionals in the mid-Michigan region to develop those collaborative relationships, with a specific mission of "empowering women to succeed in natural resource careers through actionable strategies for networking, research, and professional development." ​Find the MSU chapter on Facebook at or send them a message at MSUWiNN@gmail.com.